This Christmas season the folks at Audible, purveyors of fine audio productions, are bringing in the holiday cheer with not one, but two Christmas classics for free (my favorite price). 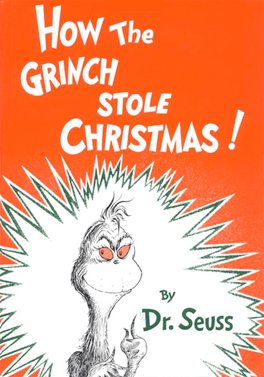 Whether or not you have kids, you’ll enjoy How the Grinch Stole Christmas! by Dr. Seuss. The book is voiced by the crumudgeonly, but wonderful Walter Matthau. The second free book is A Christmas Carol: An Signature Performance by Tim Curry by Charles Dickens. Re-reading Dickens’ immortal Christmas parable each year is one of my favorite traditions. I’m looking forward to hearing how Tim Curry brings Scrooge to life. Download both of these books now as they aren’t likely to be free much longer. I’m an unashamed Audiobook “reader” and you should be, too! This entry was posted in Books, Deals and tagged Audible, Audiobook, audiobooks, books, Christmas, deals, downloads, free, holidays, postaweek2012 on December 22, 2012 by Ammon. Wowza! The kind folks at BeLight Software. 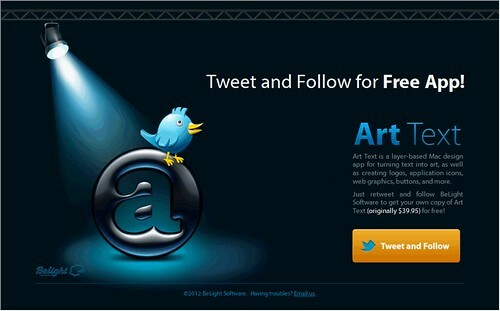 are giving away copies of their premier Text and Graphics utility, Art Text 2 for a limited time. What is Art Text for, you may ask? Image courtesy of BeLight Software. I considered buying Art Text whenever I needed to come up with a logo or a really cool heading for a presention or report. But, the $40 price tag kept me away. Visit their giveaway page for instructions (you’ll need a Twitter account). Be sure to act soon as there’s no word on when this offer expires. 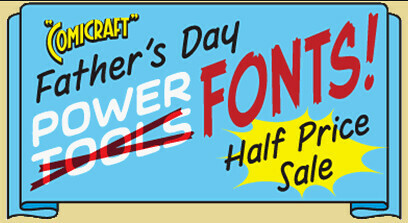 From now until June 17th the incredibly talented guys at Comicraft are holding their Father’s Day Power Tools Fonts! Half Price Sale. These hand-drawn beauties are the go-to fonts for many of the biggest names in comics. With the combination of Art Text and Comicraft fonts your logos, presentations, and other documents need never suffer from dull typefaces and graphics again. Run, don’t walk to your computer right now to take advantage of both of these amazing deals before they go away for good. Trust me—you’ll thank me later. All images are from my flickr unless otherwise noted. This entry was posted in Apple, Apps, Deals, Downloads, MacTacular and tagged apple, apps, Comicraft, deals, design, discounts, downloads, Font, fonts, free, Graphic design, graphics, mac, MacOS X, postaweek2012, software on June 7, 2012 by Ammon. I love music. I listen in the car, when I work out, when I do chores—whenever I can. As such, I’m always on the look out for great music I don’t have to pay for. Fortunately, the Internet is full of places to get free music. Some of them even let you download it legally, too! Apple has a whole section devoted to music (and movies, and apps, etc.) that are Free on iTunes. Not to be outdone, Amazon lets you browse their MP3 Store for free downloads. Now Google is getting in on the game. 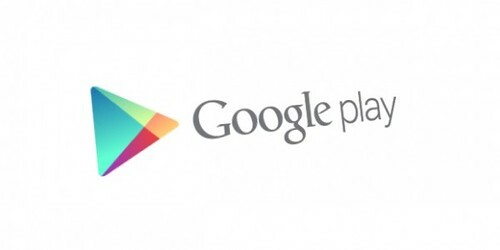 If you haven’t checked it out already, be sure to head over to Google Play. Their interface is nothing special and the selection of music is no better than iTunes or Amazon MP3. However, they’ve got a much, much better selection of free music. 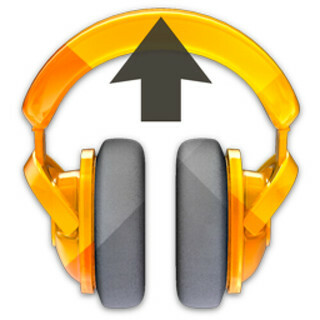 Head over to the Free Song Archive at the Google Play Magnifier Blog. Currently, they’ve got over 200 fantastic songs from the likes of Train, Social Distortion, “Weird Al” Yankovic, System of a Down, Mariah Carey, Shakira, Johnny Cash, Carrie Underwood, Whitney Houston, John Mayer, etc. As a bonus, be sure to check out this playlist full of quality tracks from Radiohead, Snoop Dogg, Gorillaz, Daft Punk, and more Coachella Music Festival All-Stars. What’s your favorite source for great, free MP3 downloads? Sound off in the comments below. This entry was posted in Music and tagged downloads, free, mp3s, music, postaweek2012 on April 12, 2012 by Ammon. Last month Apple released iOS 5, the latest operating system upgrade for the their iPad and iPhone lines. With this release they added over 200 features in addition to the usual flurry of bug fixes and ever popular “performance enhancements”. While they’ve done an excellent job improving the platform with the release of iOS5, what Apple hasn’t done very well is articulate how to take advantage out of all that’s new and improved. 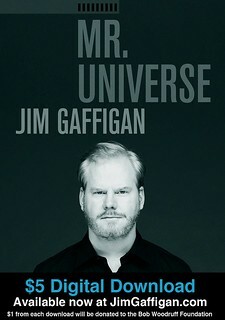 Thankfully, Apple has released a free eBook explaining all the ins and outs of their latest and greatest. Want to know what’s in book? 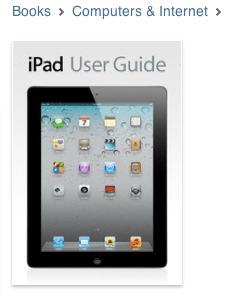 You can download the iPad User Guide for free from the iBookstore in iTunes. An iPhone User Guide is also available in iTunes. With your iOS 5 user guide loaded on your iPad and/or iPhone you’ll be setting yourself Reminders, iMessaging friends and family, and configuring Notification Center with the best of them. This entry was posted in Apple, Books, Mac Tips, MacTacular and tagged apple, downloads, ebooks, guide, ibooks, ios, ipad, iphone, ipod, Smartphones on November 1, 2011 by Ammon. PREMIERE: Face to Face Return With Punk Anthem | SPIN.com. If like me, Face to Face makes you pine for the days when radio didn’t stink (KROQ, I miss you!) then head over to Spin.com and download the free track All for Nothing from their upcoming album Laugh Now, Laugh Later. This entry was posted in Downloads, Music and tagged downloads, Entertainment, mp3s, music, punk, Punk rock, rock, Spin (magazine) on May 26, 2011 by Ammon. For a limited time Telltale Games is offering Back to the Future—Episdoe 1 as a free download for both Mac and PC. 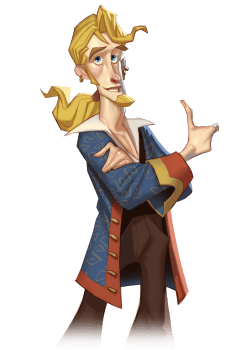 Telltale games have done an excellent job of resurrecting the Adventure Game as a genre and have put out some really fun games featuring Strongbad, Sam & Max, as well as Guybrush Threepwood. Download with confidence—I’m sure this will be great! This entry was posted in Video Games and tagged Adventure game, Back to the Future, downloads, Entertainment, free, gaming, Guybrush Threepwood, mac, Sam & Max, Telltale Games, Video Games, videogames, windows on April 3, 2011 by Ammon.